The lazy days of summer are almost here and I’ve made myself a promise. This year will be different. I will not put myself into a frenzy trying to schedule every minute and then feel frustrated that I’m the only one that wants to do these things that I’ve planned. Summer is to be enjoyed and not just by the children. I want to embrace the slowness. Relish in the sunshine and enjoy the adventures planned on the fly. As a child, I spent the majority of my time swimming at the local pool, reading at the library, and baking. And honestly? That’s pretty much what I want to do this summer (though I’ll take the beach over the pool). My favorite projects in the summer, require lots of time. Yeast bubbling, double rises, and the end result being something we can all devour and appreciate. Bread is spectacular. Practical (less trips to the grocery store!) and though it takes some time to let the yeast do its thing, it isn’t fussy. You can let it sit extra long or even pop it in the fridge over night like I did with these pitas. I’ve made pitas a couple times but these by far are my favorite. The bread flour adds a nice chewiness and the white whole wheat has an added bonus of whole grains. I found this recipe intriguing because of the extra step of a quick sponge. 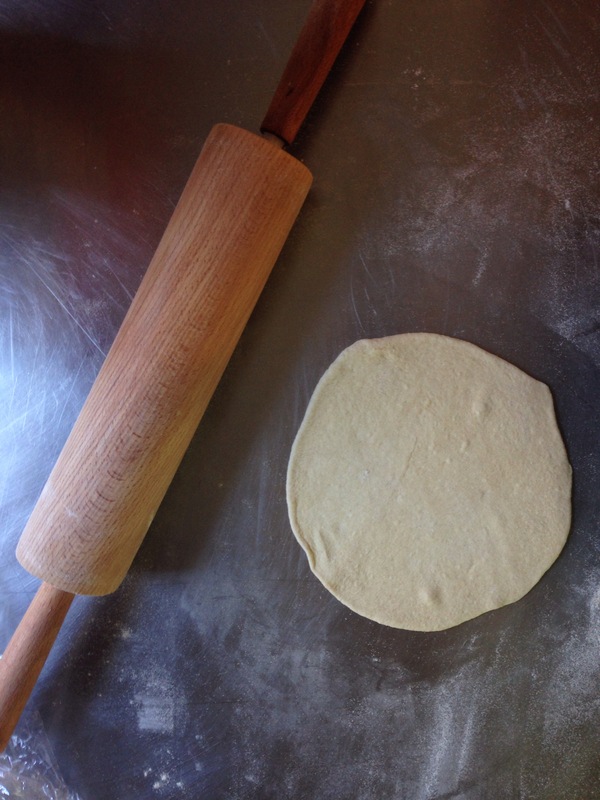 The end result is a chewy, soft, pocket pita with a complex wheat and yeast flavor. This recipe is adapted from a recipe from epicurious.com. I used white whole wheat flour and added an extra rise so that I made them over 2 days. I found this easier, but you are welcome to skip the overnight rise and roll the pitas out after shaping them. 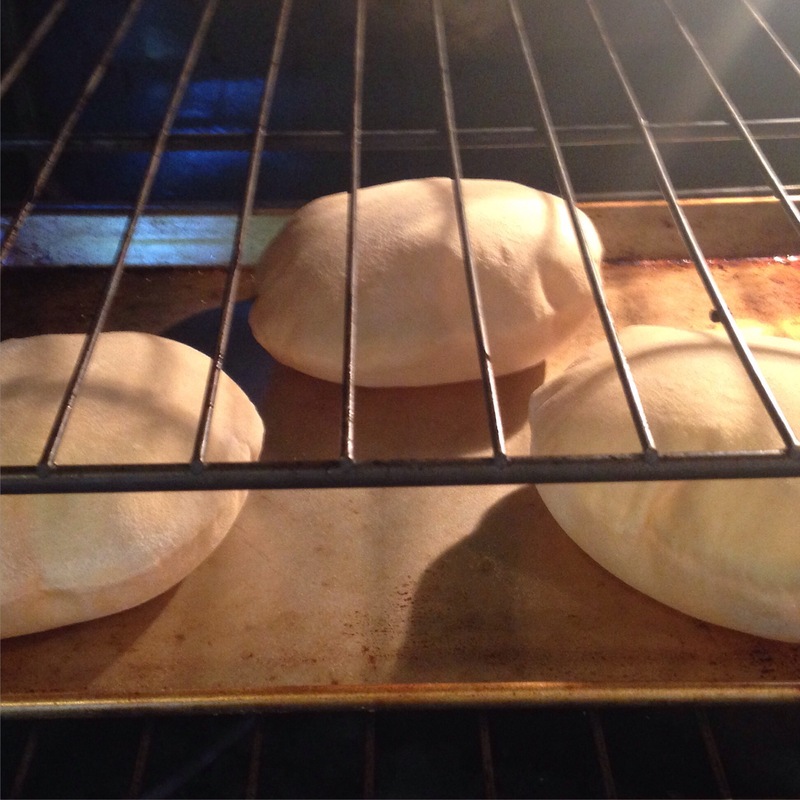 Just let the pitas rest for a good 30 minutes before popping them into the oven. These made 10 pitas that were around 2 ounces each. 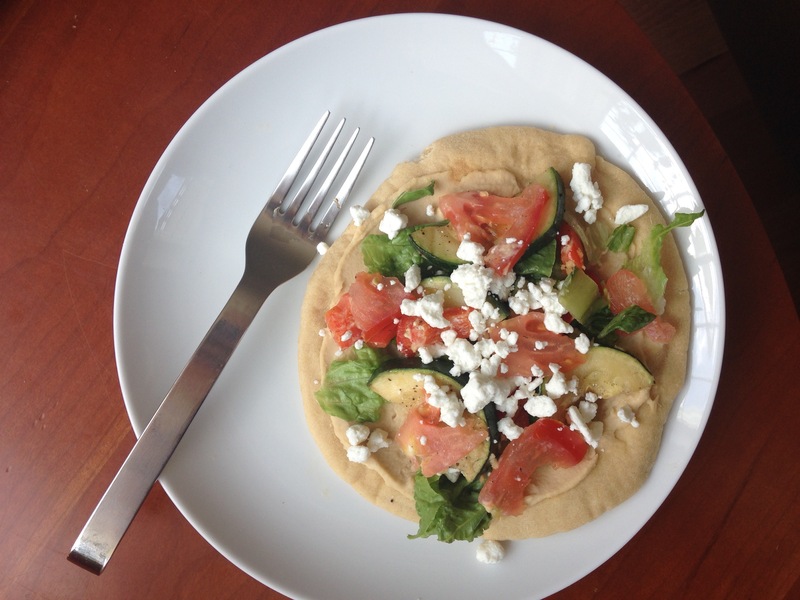 I topped mine with hummus, roasted zucchini and red pepper, lettuce, and goat cheese. You could also cut them in half to stuff the pocket. In the warmed bowl of the mixer, combine the yeast, 1/2 cup warm water and honey and let sit for 5 minutes until smooth and frothy. In the meantime, combine the flours in a medium bowl. Once the yeast mixture is smooth, mix in 1/2 cup of the flour mixture and combine until smooth. Cover with plastic wrap and let sit for 45 minutes until doubled and bubbly. Once mixture is has risen, add the oil, salt, remaining 3/4 cup warm water, and the rest of the flour. Stir together. Using the hook attachment to your stand mixture, knead for 5 minutes. You will need to add additional bread flour during the kneading time. Add more once the dough starts to work its way up the hook, adding 2-3 tablespoons every couple of minutes as needed. The dough will be soft but not sticky. Shape into a ball and place in a large bowl that has been slightly oiled. Let rise for 1 hour or until doubled in bulk. Scrape dough onto slightly floured surface and cut into 10 equal parts, about 2 ounces each (I like to use a scale for this part). Roll into a ball and wrap in plastic wrap. 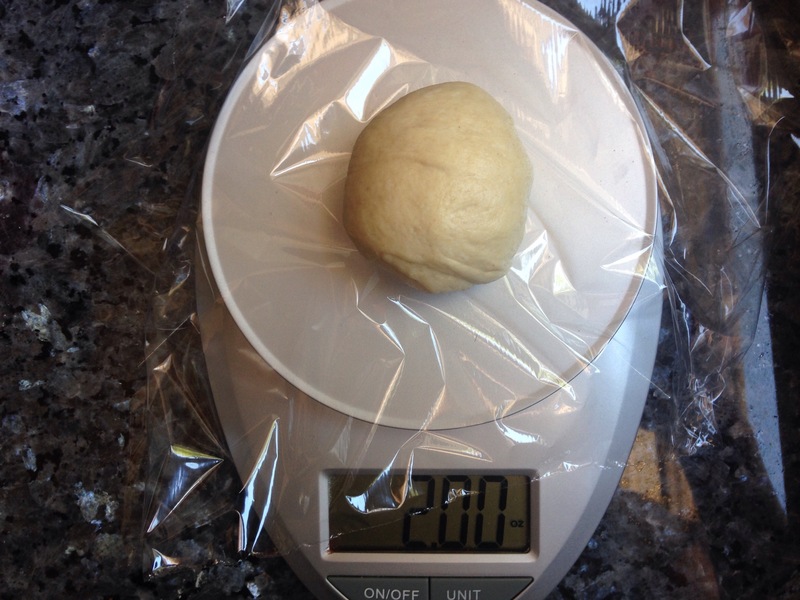 Place dough balls into a tupperware container and let sit overnight. The next day, preheat over to 500 degrees F. Let dough warm to room temperature for 20 minutes or so and then roll out into 5 inch circles. Don’t be shy with the white whole wheat flour for dusting. If the dough is still sticky, add some cornmeal to the baking sheets to prevent sticking. Roll 3 pitas per sheet. Place baking sheet on bottom rack and bake for 2-3 minutes on the first side (watch them puff!) Then flip and cook for another minute or 2.Place finished pitas wrapped in a kitchen towel and let them cool. Once cool, store in an air tight container in the refrigerator for up to a week.